Without EVER Being Pushy Or Losing Their Integrity. 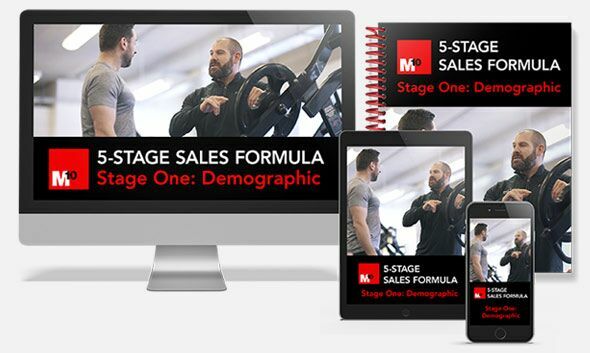 The 5-Stage Sales System is written, designed, and delivered by Mark Coles, owner of M10 gym and M10 Education. 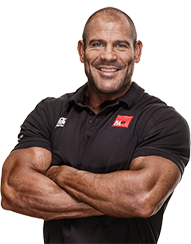 Mark has been a leading Personal Trainer for over 15 years, and he has coached over 25,000 hours of PT. He now spends his time teaching PTs his proven methods to grow a profitable fitness business. For 5 years, Mark was in charge of training and development for PTs at a large gym chain of 20 clubs. During that time, he delivered his sales systems and business methods to over 500 trainers, helping them all reach over 30 paying clients in their first 12 weeks of business. 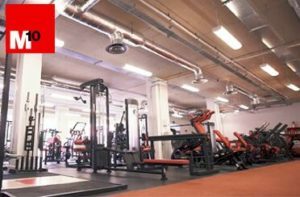 In 2007, Mark opened his first M10 gym. Within two years, he had a team of 5 coaches all delivering over 35 sessions each week. In 2012, he opened the second M10 gym where there are currently 7 trainers working for the brand. 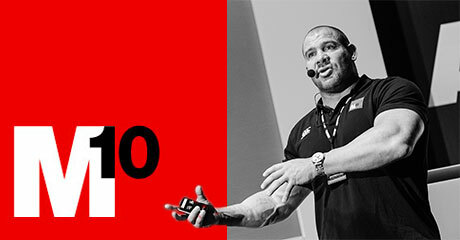 Mark teaches all his coaches the M10 sales methods you will learn here. And they all have full diaries and a constant flow of leads. 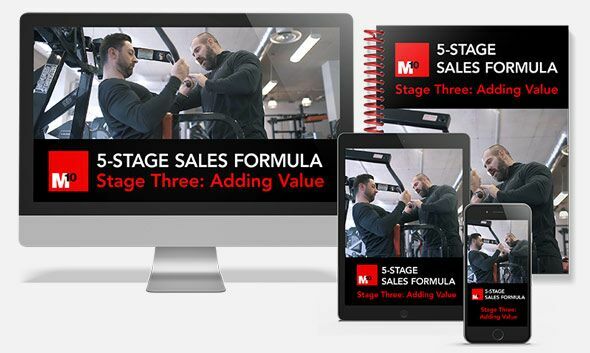 This sales course has been designed under Mark’s M10 Education brand, which has already helped over 1000 PTs to improve their coaching skills and business systems, to build more successful fitness businesses. and has taught his methods at fitness industry events across the world. Love what you do, and you’ll never work a day in your life. Are you sick of hearing that yet? I’m not surprised. It’s hard to remember why you want to be a PT when it seems such a grind of opening up (before the rest of the world has even woken up)… and clearing up, too. Lonely, isn’t it? (Especially if the person you go home to doesn’t understand why you bother: “just get a job at that bank like your cousin! He’s on 40 grand a year already!”) And what happens at work? You get up the courage to approach people to offer a PT consultation, but they always say no. And meanwhile, you watch the highest earning PT in your gym killing it every day. Seriously, how do they do it? It’s like they were born to sell training sessions. They’re like a client-magnet. What would you say if I told you there was a super-smart “trick” all successful PTs use… but don’t want you to know about. This is BRILLIANT and it will save you YEARS of slow progress, stress, and sleepless nights. It might even save your career. 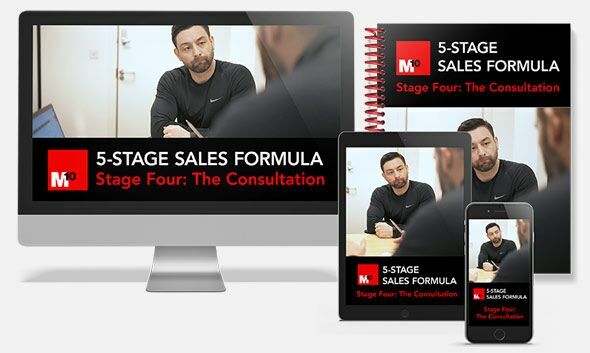 This online system teaches you each stage of the sales process (even the ones nobody talks about) - so you convert leads WITHOUT EVER feeling like “selling”! Are you ready to become the best sales person in your gym? The one who makes multiple times the amount of other PTs? It’s time to discover the stages of selling they don’t teach you… the secret skills that will make you more approachable, more expert, and MUCH more financially successful. Why do so many Personal Trainers struggle with getting leads and converting them into clients? They’ve either NEVER been taught how to sell Personal Training to actual human beings, or they’ve had horrible information from “sales gurus”. We all know the statistics - including the number of eager new PTs who struggle hard for 12-18 months before bowing out of the industry, defeated and disillusioned. You DO NOT have to be one of them! Personal Training is a business. And you must be able to sell if you want to survive. But here’s the good news! You CAN sell - effortlessly and confidently. And you can have fun with the process! Building relationships, adding value, and presenting PT as the obvious solution to a client who is ready and waiting to hand you their bank details. 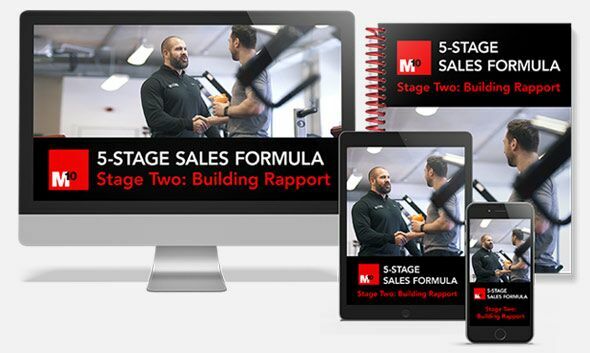 A PT’s Simple, 5-Stage System To Attract More Clients,Build Better Rapport, And Convert More Leads So YouBecome The Best Seller In Your Gym! If you follow this step-by-step system, you will quickly learn how to have a constant stream of leads and a high conversion rate, without “selling” at all. You’ll understand the crucial human elements of being a really good sales person. And discover how to put it all together so you can go into the gym and get started. From the very first stage, you’ll start meeting more prospects, building more credibility on the gym floor, and getting more people into consultations. From there, you’ll learn exactly how to run a consult (face to face or on the phone) so it seems less like selling, and much more like offering an obvious solution to an eager client. How can you sell Personal Training if you don’t know who you’re selling to? This module delves deep into the values of your business, and your own experience and interests. You MUST make sure your target audience is aligned with your own knowledge and skills. Most PTs run headfirst into trying to sell without ever figuring out their audience. Get this RIGHT and have gym members flocking to you a magnet. The entire sales process will be so much easier. 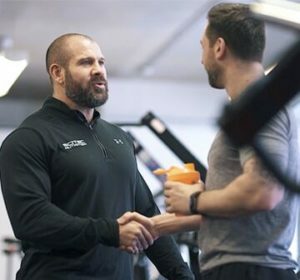 Do you spend time getting to know people in the gym before you even try to hit them with a sale? If not, you’re missing out on a massive piece of the puzzle. Module 2 will solve all that. Building rapport is why some PTs can build a following (and even have clients follow them from gym to gym!) It all starts with human psychology - and that’s what you’ll learn about here. This module teaches you how to be a natural at building authentic rapport. Why should someone buy Personal Training from you if they don’t know how good you are? This module explains exactly how to add more value to the client’s gym experience, putting you miles ahead of all other PTs. I’ll give you tons of examples that you can swipe and use. Never run out of ideas again. Layer value upon value until you are truly the most helpful, expert, approachable PT in your gym. Important: this module includes THREE bonus documents you can use as giveaways to prospects (or customise). Now you’ve got to know them and added tons of value, it’s time to get them in for a consultation. The consult is a major sticking point for most PTs. You won’t be one of them! The videos in this module include an example of a “live” consult, so you can see exactly what to say, and how to tackle challenges. You will never fear a consultation again after this training - in fact, you’ll love them! If closing a sale fills you with dread, you NEED this module. You’ll learn exactly how “selling” is an effortless conversation with a primed and ready prospect. This is NOT sales as you might have seen it done elsewhere. 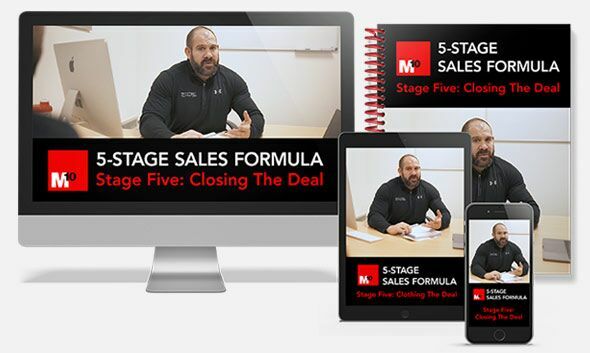 All of your fears and mental barriers around selling will fall away once you watch these videos and access the sales scripts. Forget everything you think you know. This is how selling is done. With so much communication done through social media, you'll often end up arranging consultations over the phone. This bonus material on phone selling breaks down every challenge or objection, and gives you the exact solution. Using my proven methods, you’ll be able to build rapport, add value, and sell, without ever meeting your prospects face to face. You won’t be on your own throughout this training system. 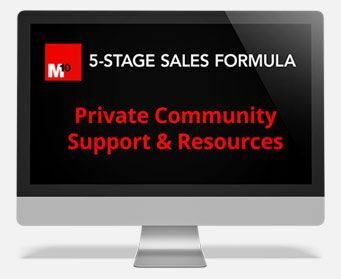 As soon as you download the 5 Stage Sales Formula, you get access to our Facebook group. I’ll be in there to pass on extra value that I won’t be posting anywhere else. Membership to the Facebook community is for life - Once you’re in, you’re in. This programme is the only place where you will learn this technique. Master it and you’ll turn everyday gym goers, into eager prospects who flock to you as the most expert authority in the gym. Look, if you’re happy with the amount of PT you sell, you probably don’t need this system. If you’re OK to coast, that’s fine. If you’re comfortable with the other PTs in your gym making more than you, and building a more loyal following, then leave this to them. And if you’re scared to sell, and don’t want to connect with more clients, this definitely isn’t for you. I’m making ALL the videos, PDFs, templates, swipe files, and bonus extras available at JUST £97.50. I wanted to price this fairly, and if you read my note below, you’ll see why. £97.50 is a steal for the knowledge, resources, and applicable information you’ll get here. Booking onto my seminars will cost you around £250, and a Skype consult is over £180 for one hour. To hire me to personally teach you what’s in this system… you’re looking at thousands. And I know that’s not for everyone. But I know you DO want help. You need to get out of this rut and overcome your fears about selling. You need to make more money! I had to learn how to sell Personal Training the hard way - I started out as a PT nearly 15 years ago, before social media. Yes, I guess I’m one of the OGs of this industry! I still PT, but these days I also own a gym and deliver Personal Trainer education and personal mentoring through M10 Education. My #1 passion (and why I give out valuable new content every day) is the future of this industry - that means YOU. I’m dedicated to helping develop a smarter fitness industry - by teaching Personal Trainers how to run better businesses. But I can’t work with everyone face-to-face. You can’t all make it to my seminars, and I only take on a small number for personal mentoring. THIS is how I can give you all my best information. The programme you’re looking at right now is the culmination of DECADES of learning, in high quality video format, PDFs, cheat sheets, templates, and value-added extras for you to “swipe” and use! 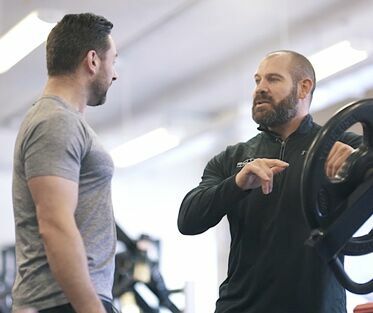 I’ve trained with and learned from top names including the Institute of Functional Medicine, the Check Institute, the Gray Institute, the Poliquin Institute, Matt Lovell, John Berardi, Milos Sarcev, Dr Bryan Walsh, and Brad Schoenfeld. But what matters more is what I’ve learned on the gym floor. My M10 gym is renowned for teaching PTs how to be at the top of their game. And my education brand helps 1000s of fitness professionals every year, with seminars, workshops, and personal mentoring. This is YOUR way to be a part of it - at a really reasonable price. Let me tell you why I priced the 5 Stage Sales Programme like I did. Because I WANT to HELP you. I don’t want you to think twice about buying this. You’ll make the investment back in a couple of hours if you put it into action. You owe it to yourself to get the skills and confidence to sell to more people, more often. 7 things PTs are getting wrong all over the world as you read this. Just by being here, you are one step ahead of those guys. Now to take it to the next level. Imagine how it will feel knowing you can sell the RIGHT way - not some robotic sales technique, but the honest, genuine way of making human connections and offering the solution that will change their life! It’s a shame the rest of the industry hasn’t caught on to this yet. It would save those PTs who give up within 18 months, or the ones who hang in there but scrape by on less money than their friend makes working 9-5. Would You Pay Less Than 2 x Your Hourly Rate To Learn How To Create A Stream Of Eager Leads and Sell Effortlessly? This online system has video tutorials, PDFs, and bonus extra sales scripts and templates. Download immediately and keep forever. Learn in your own time, wherever you are. And the Facebook community is yours for life. You can’t get this anywhere else: this is THE most cost effective way to access my systems. You are only agreeing to TRY my sales system to see if it helps you get more leads, and carry out effortless consults that become sales. If it doesn’t, the money-back guarantee will be processed - no questions asked. I personally designed every step of this programme. I am so confident that this 5-Stage System will teach you how to attract more leads and close more deals (with more confidence than ever!) that I will give you your money back IF you don’t agree that it has been valuable. Just contact my team HERE. PS I’ll also send you the exact Consultation Framework we use at my gym, M10. Nobody outside of my own trainers has ever seen this before. FAQ About Five Stage Sales Formula? Q: What will this programme teach me? A: This is a sales programme for Personal Trainers and fitness coaches. It consists of 5 modules, teaching you how to choose your ideal audience, build rapport, give them value, carry out a consult, and successfully close a sale. You will learn how to sell more PT sessions, more often. Q: Do I have to join live webinars? A: No. The programme is delivered via pre-recorded videos, plus supporting documents. You can watch the videos as often as you like. Q: How do I receive the videos? A: All the videos are hosted on a secure online platform. You do not need to download them to your device. You will have lifetime access. A: If you have any trouble, contact one the team HERE and we will help you. Q: What happens in the Facebook community? A: Everyone who joins this programme has access to the Facebook group, so you can expect plenty of support, ideas, and “me too” moments. Plus Mark is there answering questions and giving new content. Q: Can I access Mark Coles during this programme? A: Yes, via the Facebook community. Q: Is this for online PTs or gym-based PTs? A: It is designed for Personal Trainers who work in gyms, fitness centres and health clubs, but the phone sales bonus module will be useful for any PT who wants to sell over the phone. Q: What happens if I want my money back? 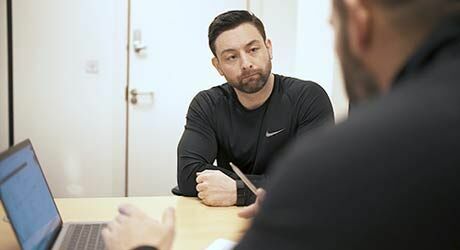 A: If you think the programme hasn’t helped your skills or confidence with selling Personal Training, then contact the team HERE and we will refund your money. Browse through hundreds of articles, playlists and videos immediately. Unlock exclusive discounts / offers on educational material, ebooks and seminars.